Celebrating the 10-year anniversary of APIS impact factor with this Special Jubilee Issue is shadowed by the apparent marginalization of and lack of trust in science in public life, and in political decision-making. In leading countries that foster scientific excellence, such as the United States, United Kingdom, and my home country Finland, public policy is increasingly based on other than solid scientific evidence, and key decision-makers publically belittle scientists. For example, a leading British politician dismissed consulting economists by stating ‘People in this country have had enough of experts’ (Clarke and Newman 2017). The Prime Minister of Finland was belittling the expertise of university professors and other academic staff in a TV interview (2 December 2015), while making a call for “those who could advise us on what to do in this [economic] situation”. In the USA, uncomfortable scientific facts are replaced by “alternative truths” as a basis for policymaking (Tsipursky 2017). Why is it that while the general public largely has a high confidence and trust in science (Funk 2017), politicians seem to lack respect for scientific expertise? Rush Holt, the CEO of the American Association for the Advancement of Science (AAAS), explained at the World Science Forum in Budapest in 2015 that “Policy makers do not think of science frequently, or crave scientific advice. They do not even know what to ask” (King 2016). For us scientists, these developments should be alarming. Maybe we have to look into the way how science is operating: how science policy is formed, and how scientific institutions are run. After all, trust has to be earned. Research results arising from within the stakeholder communities (e.g., industry-based research, or institutes serving a particular sector, and being funded by that sector) have always been viewed with suspicion by the critical public, while independent research institutes and universities traditionally have enjoyed high levels of public trust. It seems that this tradition is eroding, as research institutes and universities are changing their funding and operation principles. Increasingly, researchers are deprived of their academic freedom and are requested to conform to the “research strategy of the institution”. Large proportion of funding is currently targeted, specifying exactly what the researcher is expected to study and how, leaving very little scope for independent innovations and creative problem solving. Another aspect of evaluating whether scientists are trustworthy or not, is to look at the quality of their work. Under the intense pressure to produce a high number of publications, it is discomforting to learn that despite our efforts to peer review and to assure quality, the majority of published research findings are wrong. Professor John Ioannidis at Stanford University specializes in the conduct of scientific studies. He has found that in modern research, false findings may be the majority, or even the vast majority, of published research claims (Ioannidis 2005). Is this an outcome of the way our science policy is steered, and how the academic institutions are operating? An illustrative, personal case study concerning the described problematics, has been detailed earlier in the articles by Hokkanen (2017), Hokkanen and Menzler-Hokkanen (2018a, b, c), and Menzler-Hokkanen (2018). I summarise here how a promising, pan-European research project addressing the call SFS-28-2017, with focus on ecostacking (Hokkanen 2017), was transformed from its original aspiration by a series of administrative and research policy decisions. 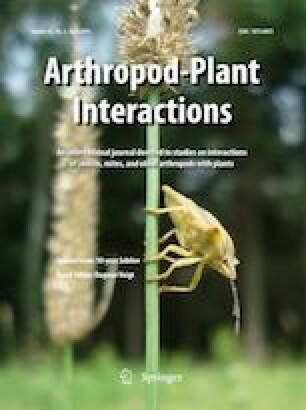 As a result, a project intitially based on integrated biocontrol, was lost in translation (for details see Menzler-Hokkanen 2018). The fate and handling of the project EcoStack illustrates a lack of transparency concerning Intellectual Property (IP) rights and copyright protection at the EU-level. The process reveals how university administrators currently can steer and influence the kind of research they wish to have conducted at their institution. It also demonstrates the predatory behavior of the scientific community, and the inability of the funding organization (in this case the European Commission’s DG Agriculture and Rural Development, and the Research Executive Agency) to follow and enforce basic ethical standards, and to foster integrity in research, which it funds (further details in Hokkanen and Menzler-Hokkanen 2018c). The project proposal EcoStack was created, written (for most parts), and submitted by the University of Helsinki (UH) research team. The 10 M€ research project was approved for funding. In the end, however, the UH team was completely excluded from the project. The project was funded, however, based on the original submission, where the names of the UH team members have been replaced by other names, without mentioning the original project coordinator (PC), or other UH authors of the proposal. The funds originally allocated to UH, have been distributed among consortium partners (Table 1), showing that they have been very well aware of the process. The respective research administrators at these institutions clearly have approved this procedure. The official reply from the European Commission to our request to rectify the situation concerning the IP was that the case is difficult and should be settled in a civil court; the Ethics Helpdesk of the EU has declined to take a position. The advice that researchers need to seek justice in civil courts leaves individual researchers unprotected against predatory behavior, and against being robbed of their research ideas and funds, as in the case of EcoStack. Are European research administrators not willing to enforce fundamental principles of research ethics, integrity, and intellectual property rights, when it seems to pay off (Table 1)? Besides having lost our IP and copyright rights in this process, we would like to point out that our work has been exploited also in sheer economic terms. It has become common to engage professional consulting companies to help scientists in writing research proposals for EU-funded competitive projects, such as the H2020 projects. These companies do part of the work in compiling, formulating, and submitting of the proposals on behalf of the consortium. This service, however, comes with a price. We know from experience that competent companies charge flat rate fee of 3000 € per partner for preparing stage one H2020 projects, and an equal sum per partner for stage two. If the proposal is successful, an additional success-rate fee of 1% of the budget is charged. If we assume that we at UH were writing the EcoStack proposal for the consortium as a consulting company, the payments to us would have been from the 24 EcoStack partners in total 244,000€. The UH team’s input (e.g. writing of the whole text for a full Work Package on dissemination) certainly matches the work that a consulting company would have provided. In addition, the UH team contributed its own IP to the proposal, and other services, which a consulting company would not provide (see Fig. 1). In her book “Justice under siege” (Joly 2006) Eva Joly describes how mafia-like structures penetrate and control large parts of our society—a sort of mafiaisation takes place in the society. Mafiaisation of science includes the fear of research groups to lose access to project funding, if not playing by the unwritten rules. It includes also collusion and power ambitions by groups based on long-term joint interaction in organisations, which provide contacts and insights. It seems that the case of EcoStack is a perfect expression of this phenomenon in the sphere of science. It also seems that the mafiaisation of research is accepted by the funding organization, the European Commission. Within the European research funding instruments, for many disciplines the financial allocations and research policies are controlled by discipline-specific small groups, or ‘mafias’ (in Eva Joly's words). If your research group is not included in these circles, the expectations to obtain funding are not high. This creates scientific inbreeding, which hampers progress within that particular field, as new and fresh ideas are not given a chance to prove themselves. The same can be seen at many other levels, from private and public research institutions to commercial businesses, which eventually fail in their aspirations because they develop a culture that “cannot see outside the box.” In these situations persons who try to point out flaws in the system and propose changes to rectify the situation, are usually sacked or kicked out—a typical fate of ‘whistleblowers’ (Scaturro 2018). Joly (2006) pointed out that the mafiaisation of the society is related to the concept of ‘white-collar crime’ as developed by Sutherland (1949). Edwin Sutherland was the first person to study and to develop the theory of white-collar crime. He wanted people to understand that even well educated, respected individuals commit crime of deceit, motivated by financial gain. It does not involve physical violence. However, the aftermath of its greed is devastating and can ruin lives. It is not difficult to see a link between the writings of Sutherland (1949), Joly (2000, 2006), and EcoStack. integrity in research is essential for maintaining scientific excellence and keeping the public’s trust. The concept of integrity in research cannot, however, be reduced to a one-line definition. For a scientist, integrity embodies above all the individual’s commitment to intellectual honesty and personal responsibility. It is an aspect of moral character and experience. For an institution, it is a commitment to creating an environment that promotes responsible conduct by embracing standards of excellence, trustworthiness, and lawfulness and then assessing whether researchers and administrators perceive that an environment with high levels of integrity has been created. …. Individuals and institutions should use these practices with the goal of fostering a culture in which high ethical standards are the norm, ongoing professional development is encouraged, and public confidence in the scientific enterprise is preserved. It is clear that to increase the credibility, impact and respect of scientists, and the scientific, evidence-based approach to policy making, our scientific institutions and science funding must work better than in the case of EcoStack. The rise of pseudoscience and alternative facts as guiding principles for running our societies cannot be the future of humanity. Open access funding provided by University of Helsinki including Helsinki University Central Hospital.